Thinking of having a quick retreat with the family? 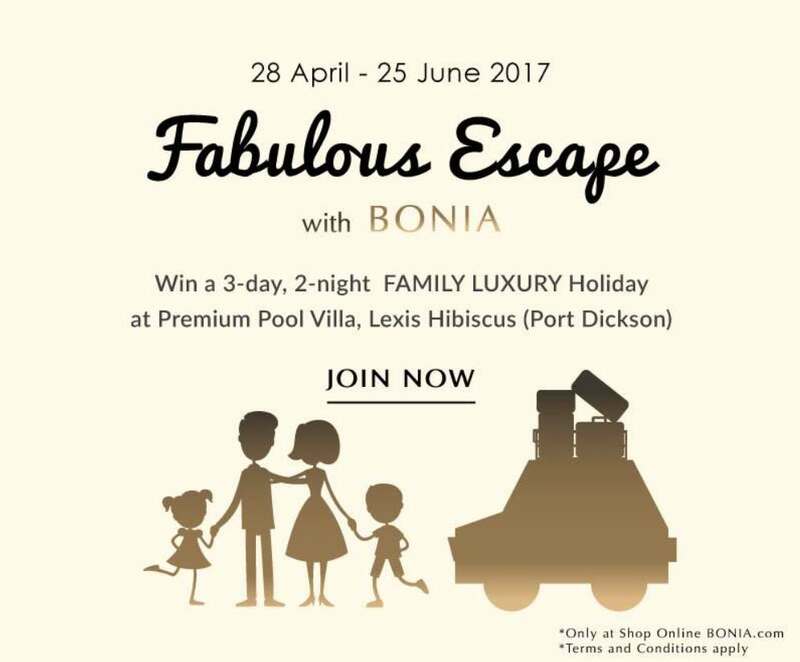 Enter to take part in BONIA’s Parents’ Day Celebration Contest for your chance to WIN! Only THREE lucky winners will be selected. Step 3: You are NOW eligible to participate! Simply click on the link below to ENTER! Find out more at Bonia #Malaysia.